Aging, acne, and sun damage can leave your facial skin looking scarred, discolored, and wrinkled. 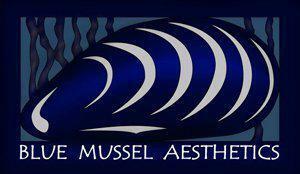 Fortunately, the medical aesthetic professionals at Blue Mussel Aesthetics in Juneau, Alaska, offer laser skin rejuvenation for men and women in southeast Alaska. Laser skin rejuvenation can minimize wrinkles, diminish the appearance of acne scars, and give your skin an overall younger, more refreshed look. To make an appointment for laser skin rejuvenation in a relaxing, spa environment, with the highest standard of care and personalized service, call or click online. Laser skin rejuvenation can target aging, fine lines, acne, rosacea and sun damage. It helps minimize wrinkles, diminish the appearance of acne scars, minimize redness and unwanted pigmentation and give your skin an overall younger and more refreshed look. The laser energy stimulates the production of new collagen and elastin, which are the building blocks of firmer, smoother skin. There is typically no downtime associated with laser skin rejuvenation. We offer several options when it comes to Laser Skin Rejuvenation. Your provider will make recommendations and give options based on your individual skin type and concerns to be addressed.